Because of Make-A-Wish Arizona, more than 400 Arizona children like Aaron currently waiting to have their wish granted. 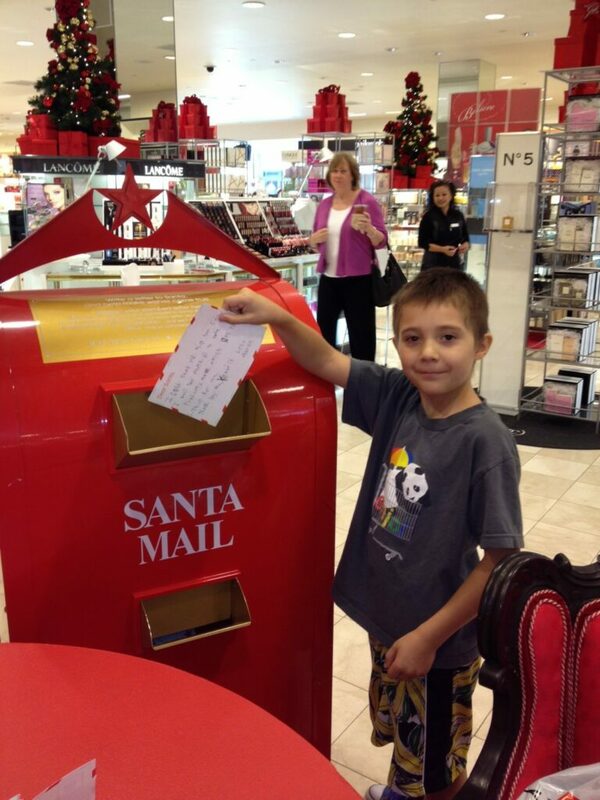 This Saturday, Nov. 17, you can help Make-A-Wish Arizona by stopping by the Scottsdale Fashion Square and Biltmore Fashion Park Macy’s for a special event focused on the store’s Letters to Santa campaign, where for every letter you submit, Macy’s donates $1 (up to $1 million) to Make-A-Wish. On Saturday, you can stop to write your letter and enter to win exciting prizes, including a $250 Macy’ gift card, catch some fun entertainment, and munch on holiday refreshments. Plus, the first 200 customers to make a purchase of $150 or more will receive a gift with purchase. 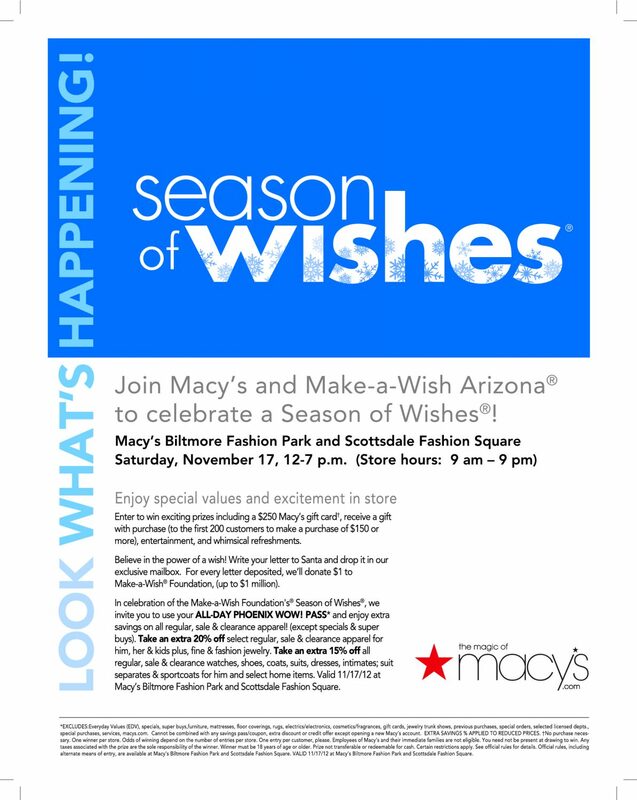 Help Make-A-Wish and Macy’s celebrate the Season of Wishes®, by using your ALL-DAY PHOENIX WOW! PASS* November 17 and enjoy extra savings on all regular, sale & clearance apparel! (except specials & super buys). Take an extra 20% off select regular, sale & clearance apparel for him, her & kids plus, fine & fashion jewelry. While you’re at it, take an extra 15% off all regular, sale & clearance watches, shoes, coats, suits, dresses, intimates; suit separates & sports coats for him and select home items. Valid Nov. 17 at Macy’s Biltmore Fashion Park and Scottsdale Fashion Square. Believe in the power of a wish!